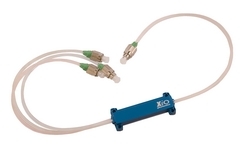 IDIL Fibres Optiques supplies an integrated Laser-Beam Combiner from Xio Photonics. 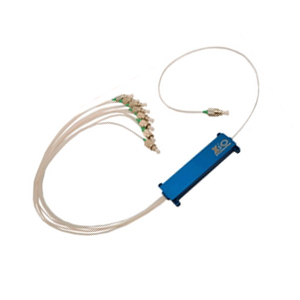 Compact and easy-to-use system that combines visible wavelength channels into one single-mode fiber. The combiner requires no alignment of optical components and is therefore very stable and maintenance-free. The optical-fiber based connectors allow the beam combiner to be easily plugged to various types of laser sources. Standardized connectors enable the user to choose the laser manufacturer for each wavelength.